Zhaire Smith is sidelined with a foot injury. 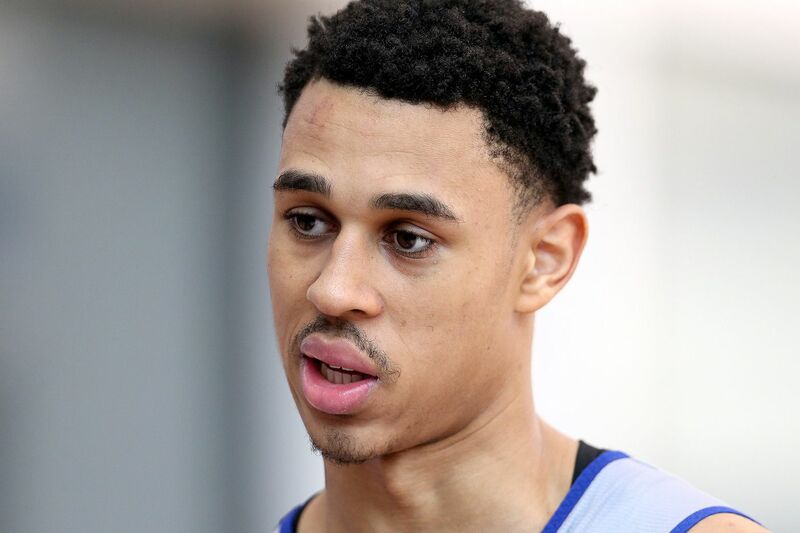 76ers rookie Zhaire Smith is expected to have surgery this week to repair a fractured left foot, according to team sources. The 16th overall pick in the 2018 NBA draft, Smith injured his foot on Monday in Las Vegas while participating in a camp run by Tim Grgurich, a longtime assistant NBA coach known for player development. The Sixers released a statement Tuesday morning saying that Smith was returning to Philadelphia to be further evaluated. Though not yet seen by team doctors and specialists, an MRI revealed a Jones fracture in Smith's left foot. He will be evaluated by a team specialist by Wednesday, and a team source said Smith is expected to undergo surgery within the week. Smith joins the unusually large group of first-year Sixers who have had their rookie seasons interrupted or stalled by injuries. There is not yet a timetable for Smith's return, but many will remember that Ben Simmons suffered a Jones fracture, and the team's conservative approach kept him sidelined for his entire rookie year. Simmons missed his rookie season after Joel Embiid missed his first two seasons due to injuries. Markelle Fultz, who was the No. 1 pick in the 2017 draft, played only a handful of games during his rookie campaign last season due to several issues. A 6-foot-4 guard who averaged 11.3 points in his one season at Texas Tech, Smith's rights were acquired on draft night by the Sixers in a trade with the Phoenix Suns in which the Sixers gave up No. 10 pick and former Villanova standout Mikal Bridges. In six summer league games for the Sixers, Smith, 19, averaged 7.7 points and 2.3 rebounds in 24.7 minutes. Landry Shamet, the Sixers other first-round draft pick, was the first to suffer an off-season injury. Shamet sprained his ankle during summer league play in Las Vegas. In early July, Smith signed a $2.5 million contract that guarantees two years with the Sixers, plus options for two more.